The Habitat Lockport Board of Directors meets the third Wednesday of each month at Emmanuel Methodist Church on East Ave. in Lockport. Meetings begin at 7:00 p.m. and are open to the public. 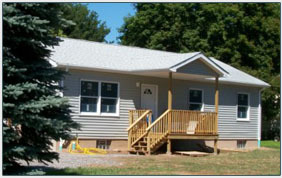 Habitat is looking for families who would like to own a Habitat house. Contact us today!